Read a tribute to Wain Farrants, the editor of this book, who died in January 2014. A classic work which argues that the twelve houses of astrology should be viewed in a clockwise direction. Traditionally, Western astrologers view the twelve houses in astrology in an anti-clockwise direction, the direction of the zodiac signs. This classic work argues, however, that we should view them in a clockwise direction. Jacques Dorsan was the leading pioneer of sidereal astrology in France. 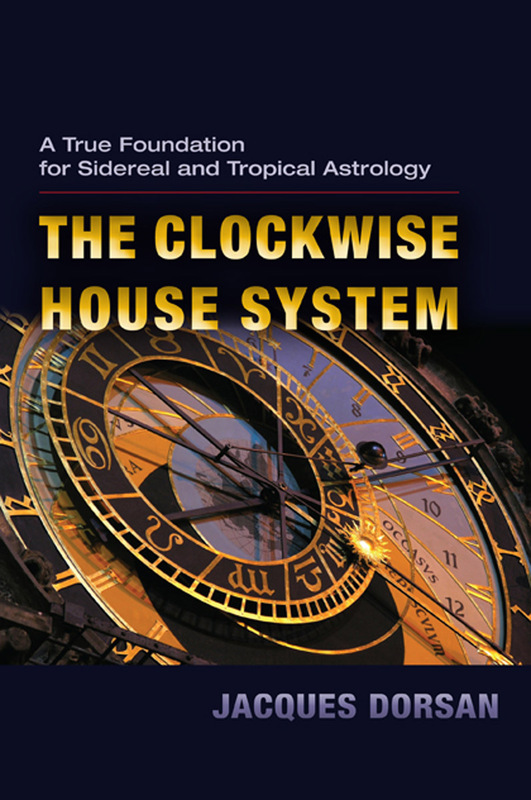 Using more than eighty sidereal horoscopes, this book illustrates Dorsan’s clockwise house system. Most of the charts are from the original French edition, with many more added in this edition. The book embodies one of the most important astrological discoveries of the twentieth and twenty-first centuries. Dorsan proposed that the houses are enumerated in a clockwise direction, following the daily diurnal motion of the Sun, for example. By using the clockwise house system together with the sidereal zodiac, everything suddenly falls into place astrologically when looking at a horoscope. 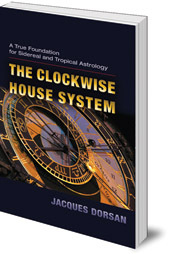 The Clockwise House System is an invaluable addition to the literature of modern astrology. Jacques Dorsan (1912-2005) was born in Orléans, France. In 1936, he moved to the Ivory Coast, where he drew his first horoscope with his index finger on the sand at Grand Bassam beach a little before sunrise, when the planet Mercury was visible. It took him more than seven years before he began to do consultations. Wain Farrants studied psychology and mathematics at the University of Toronto. He ran the bookshop at Camphill Botton Village in Yorkshire, England for many years until his death in January 2014.